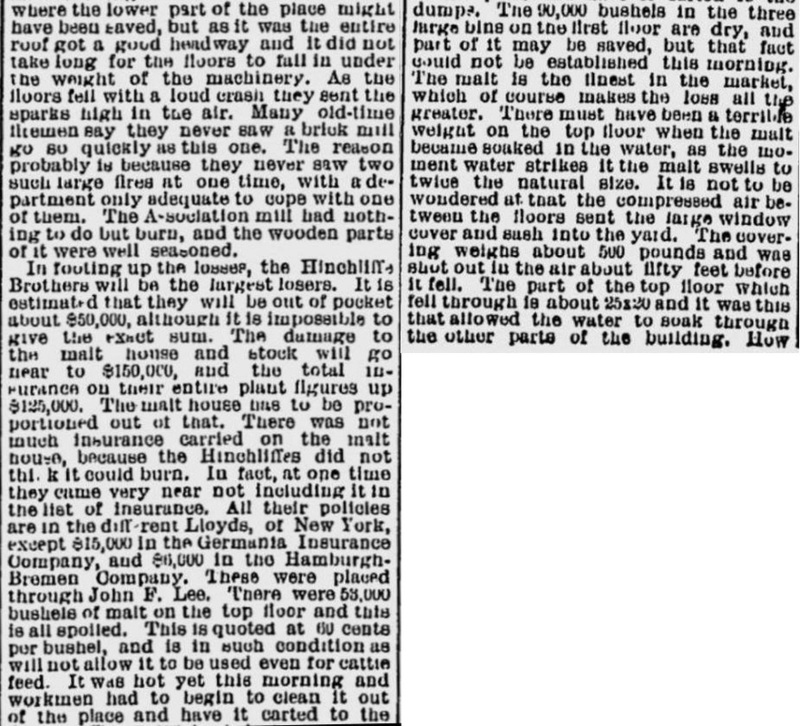 In 1890 the Hinchliffe brothers hired the well-known firm of Charles Stoll & Son of Brooklyn to draw up plans for the city's largest and most modern brewing facility. 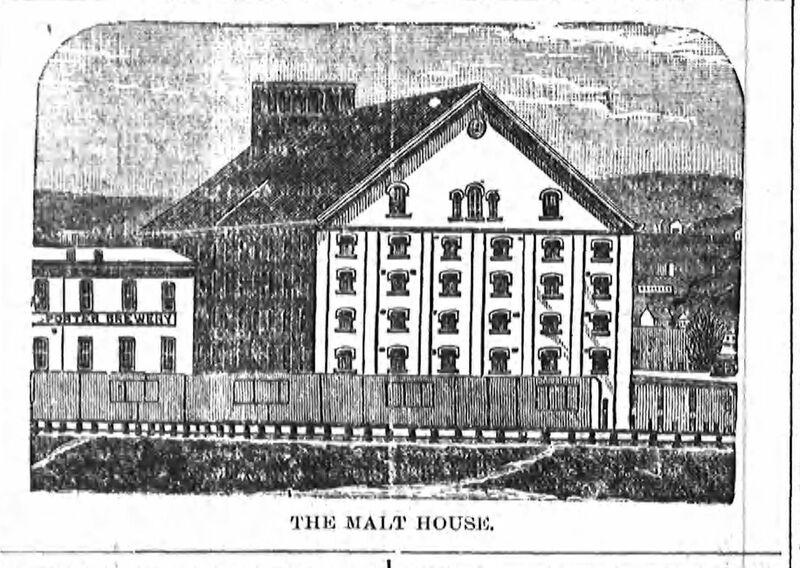 The brew house stood five stories tall, built of brick and iron and trimmed with granite, and behind was a modern ice making facility three stories tall. 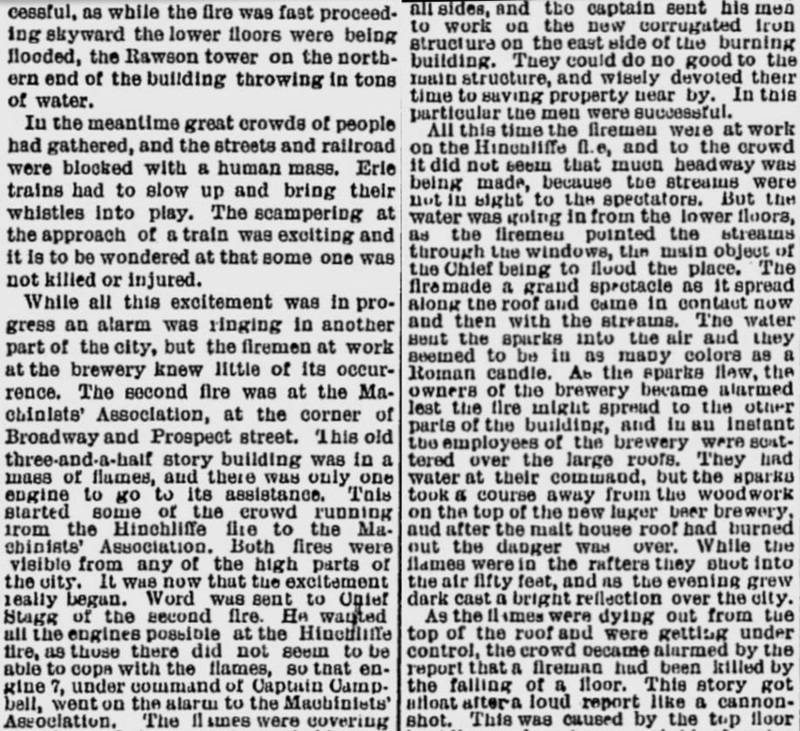 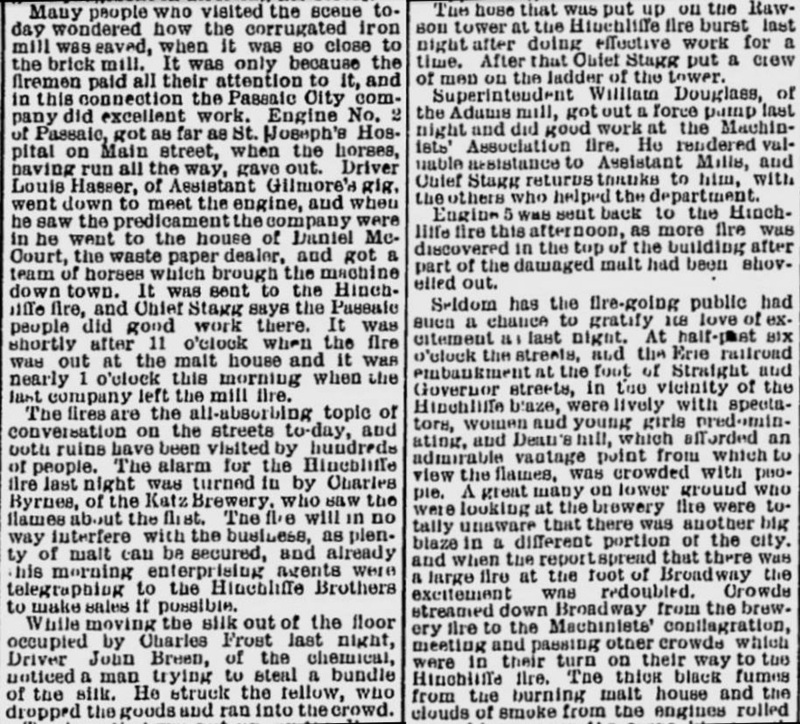 ​The first General Alarm in the history of the fully paid Paterson Fire department occurred on at Hinchliffe brewery on Ann Street. 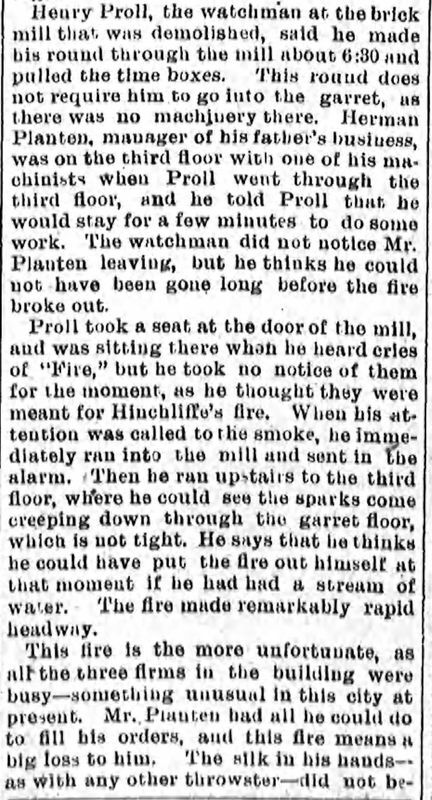 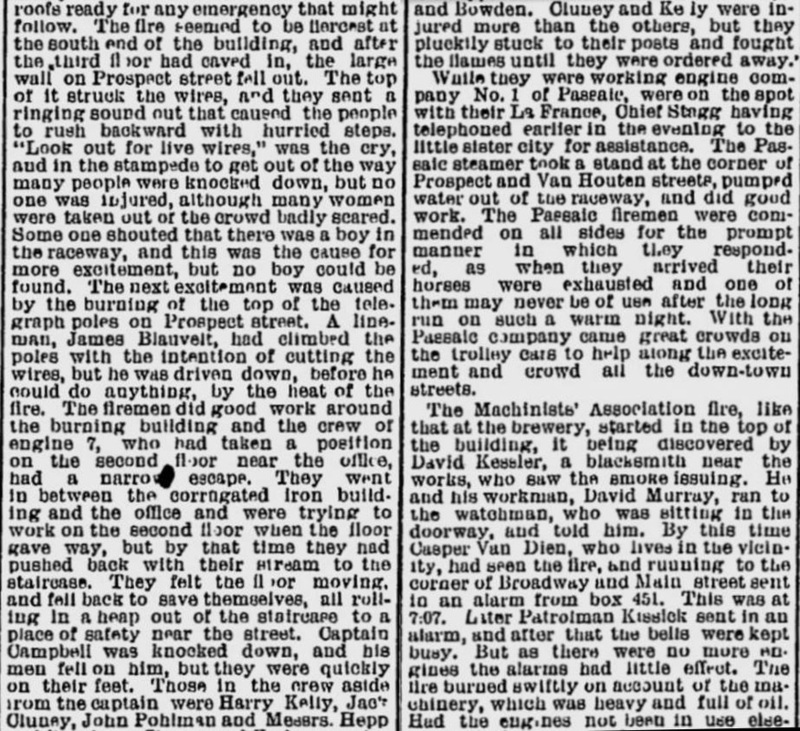 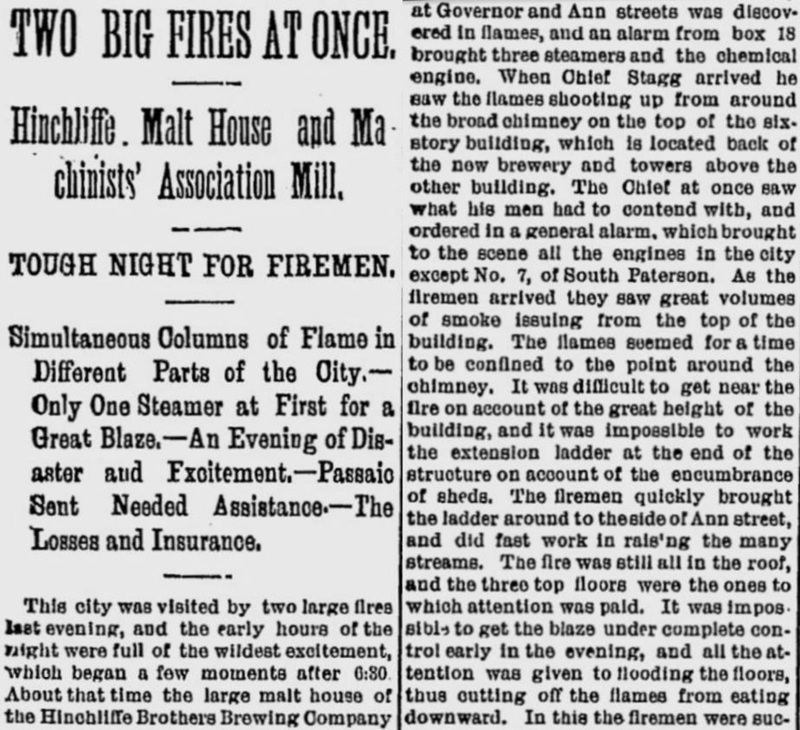 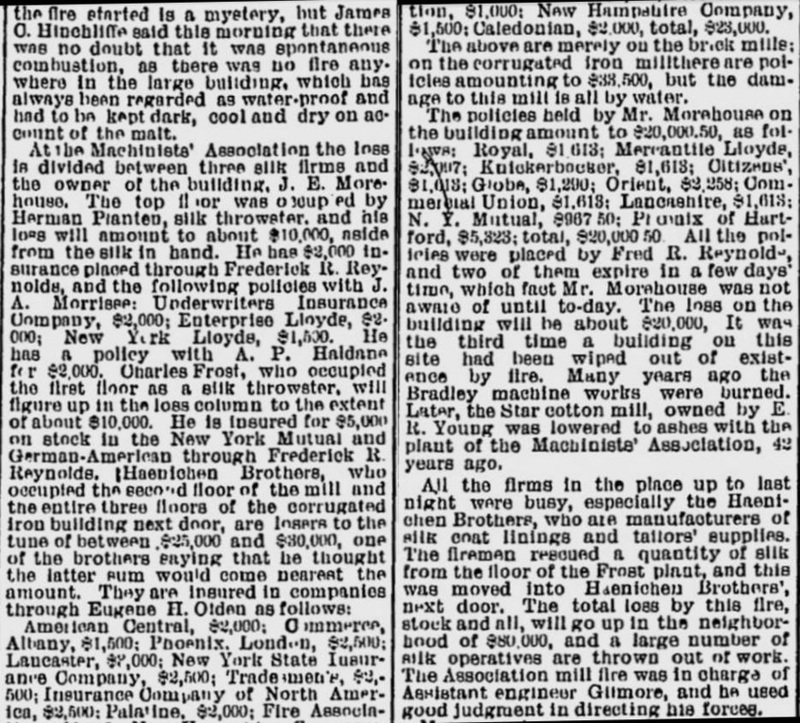 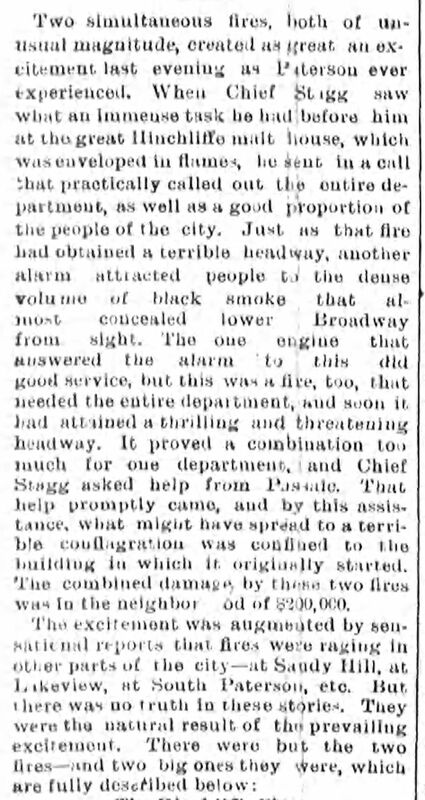 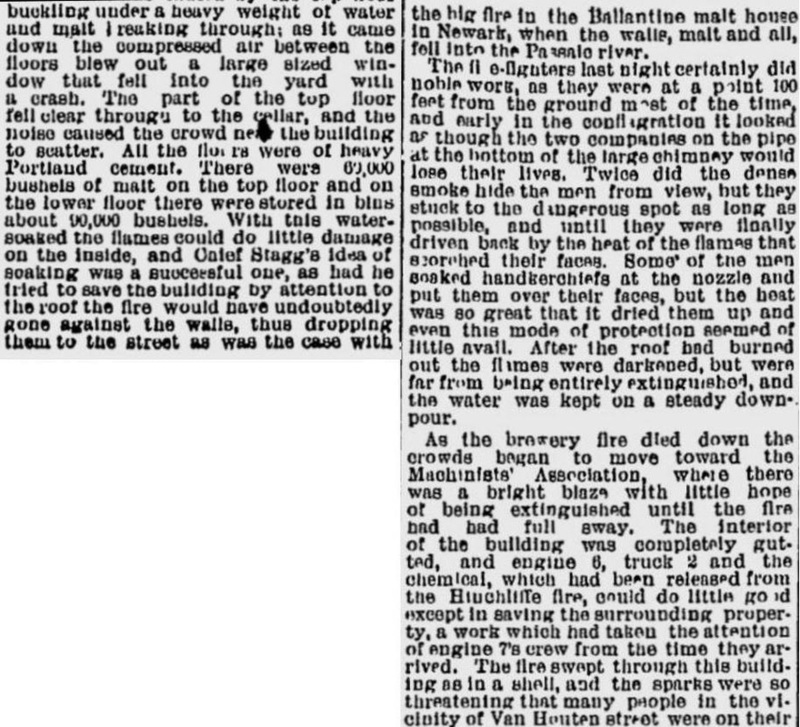 The article that follows gives an amazing idea of what firefighting was like in 1896. 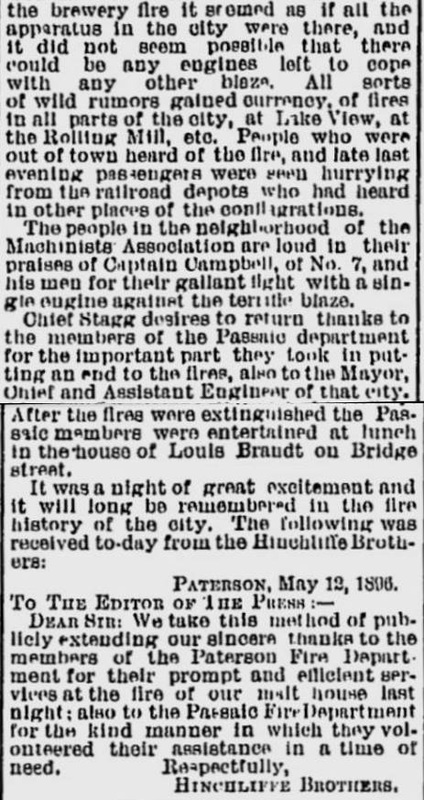 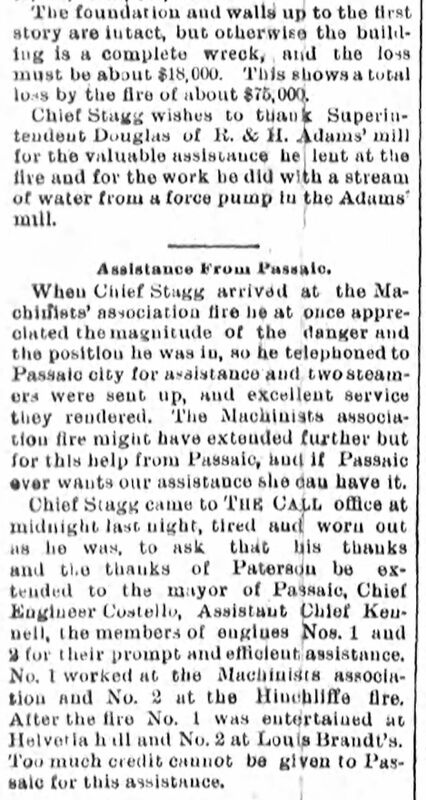 Amazingly at the same time another major fire occurred in Paterson requiring Mutual aid from the Passaic Fire Department. 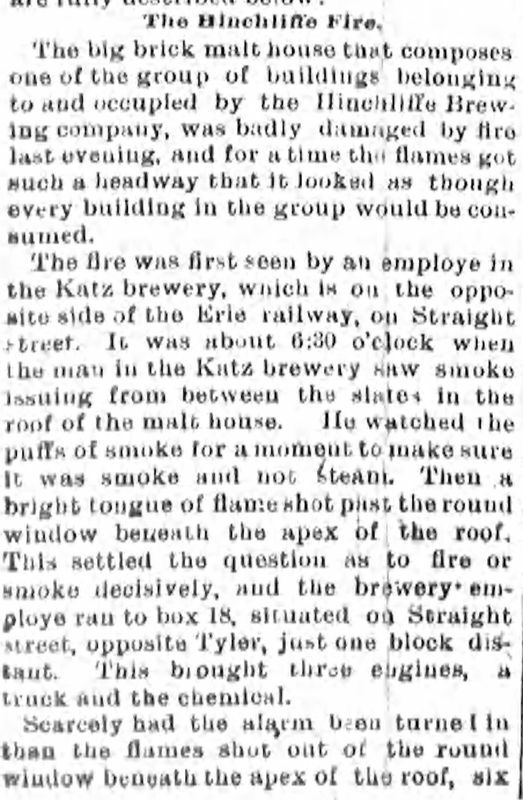 As it turned out there would be many more fires at this brewery.